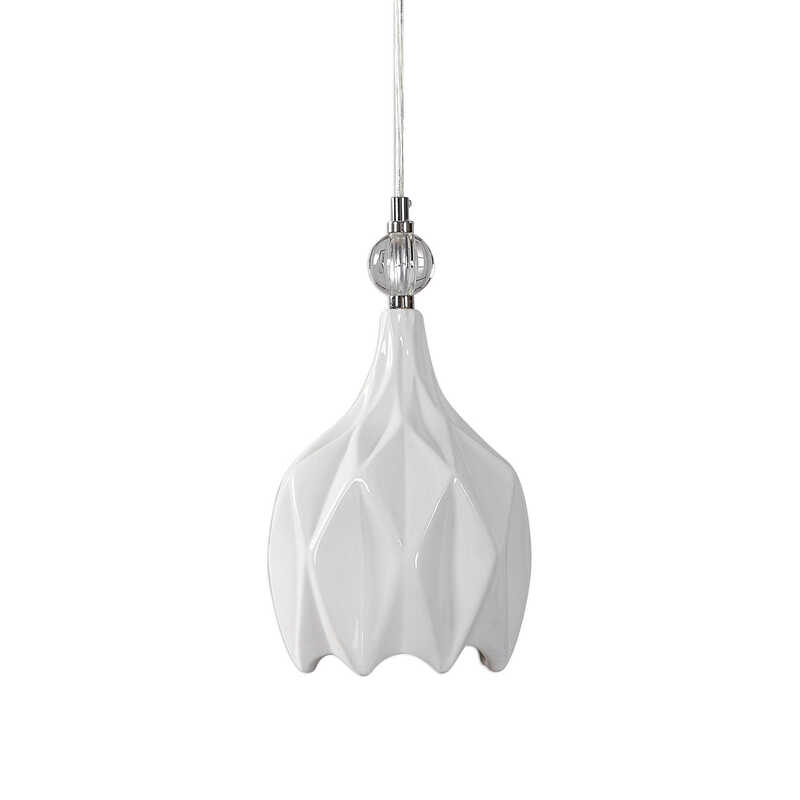 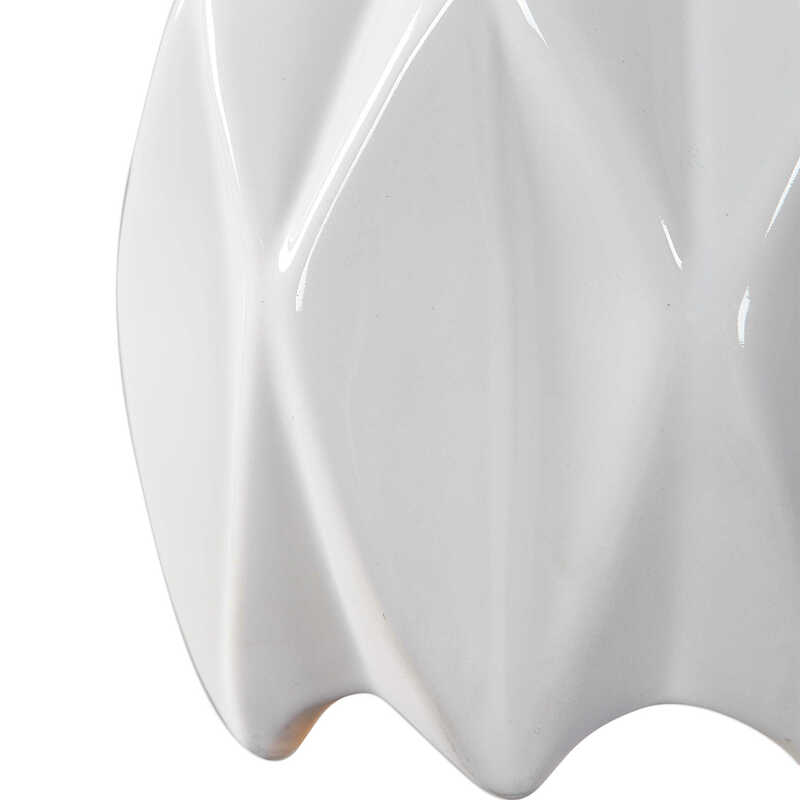 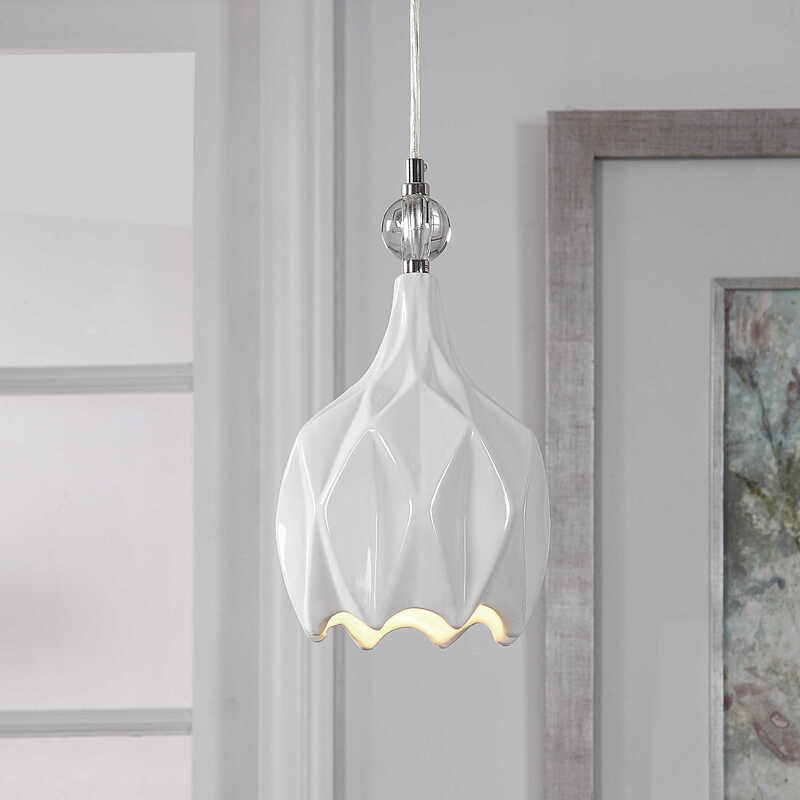 Modern style emanates from this 1 Lt. mini pendant. 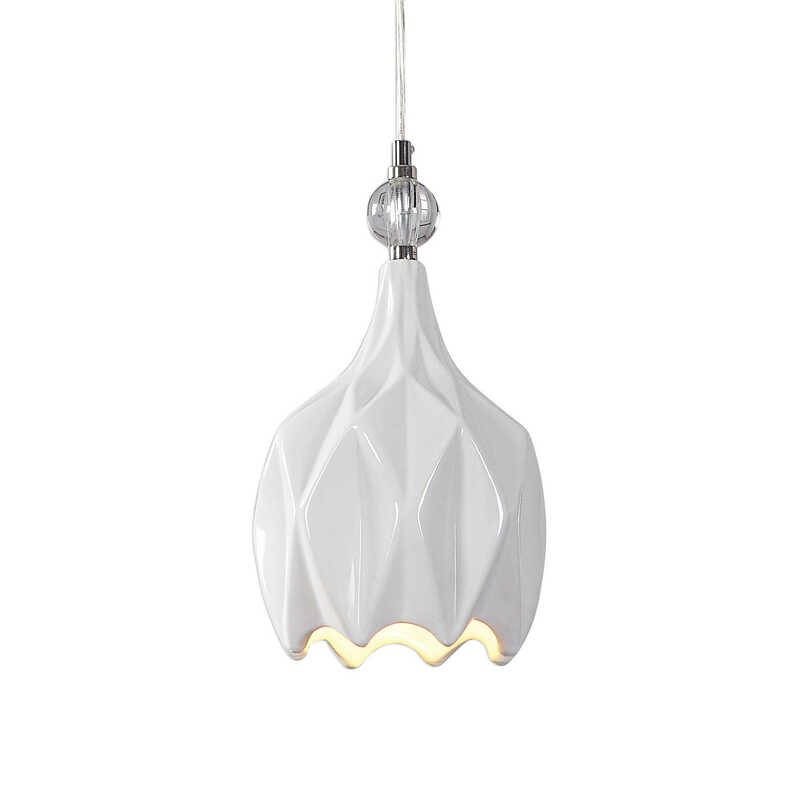 Featuring an embossed geometric pattern in a glossy white glazed ceramic for the shade accented with polished nickel details and a crystal ball accent. 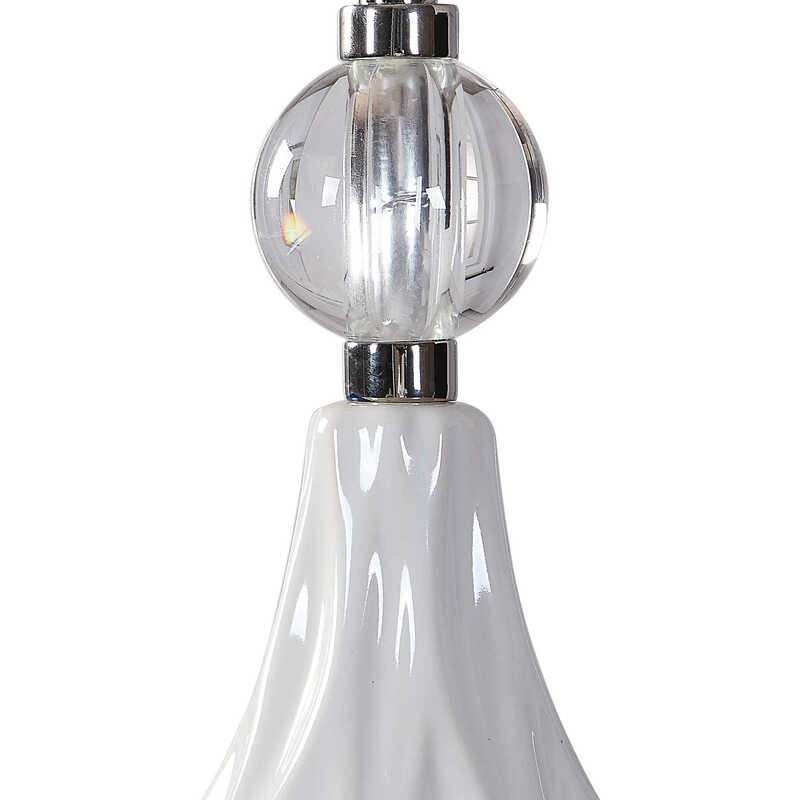 With 1-60 watt max Edison socket and supplied with 15'wire.